Last week I got a ton done! I found my Bridesmaid gifts and started purchasing them. Three down – five to go! I shall not tell what it is but let’s just say I really hope I have some extra money when all is said and done so I can treat myself to the same gift 🙂 I kinda sorta love what I’m buying them and would really like to own it as well! Okay enough on that subject!!! Another topic that I can’t speak too much on but have nailed down is my centerpieces!!! I will not tell what they are but I can say this much…I’ve never been to a wedding with anything like it! I think it’s pretty unique and I’m super excited for it! It’s a bit more practical then flowers — which my husband-to-be appreciates – haha! So enough on last week – let’s jump right into the “Cha-Cha-Cha-Changes” of this week! BIG NEWS!!! 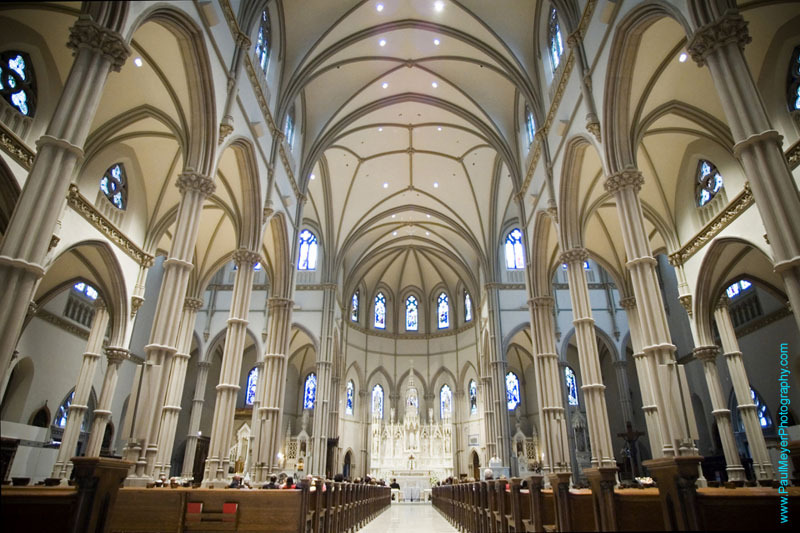 Patrick and I actually decided to change our church…very bold I know! But it’s all for the best we feel. See originally we were getting married at my childhood church, St. Cyril of Alexandria, at 2:30 PM with the reception starting at 5:30 PM. When I first told Patrick about it I don’t think it registered to him that there would be a 2 hour gap between the ceremony and reception that guests would have to fend for themselves with. When he didn’t say anything I thought I had the green light. Well it all sank in this week and I got a big giant red light! I totally got where Patrick was coming from with not liking the idea of our guests having to wait around for us so my mom and I started to brainstorm. We came up with St. Paul’s Cathedral! The Cathedral is actually located within walking distance of our venue and the hotel that we blocked rooms at – so it is now super convenient for all of our guests! To make matters even sweeter…the ceremony with be at 4:00 PM – so now our ceremony and reception will be seamless! The Cathedral isn’t the easiest of places to get for a wedding. 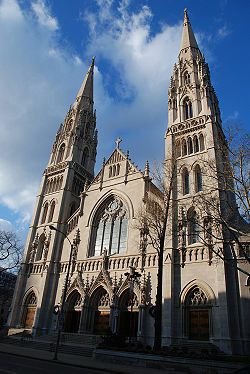 It is the mother church of the Diocese of Pittsburgh and is lead by Bishop David Zubik. In addition, it’s breathtakingly beautiful so it is highly sought after! It took A LOT of prayers to land it and I am so thankful for all who came together and prayed for it for me 🙂 God heard us and I know deep down this is His plan and what He wanted all along 🙂 I now invite you to take in it’s beauty!!! I just feel so blessed to be able to come before God and take Patrick to be my husband in this historic and holy place! Have a GREAT week! Look forward to the next post as it’s going to be jam packed with lots of fun stuff 🙂 Until then! Follow Our Bunch on Social Media! Keep Up With The Bailey’s! We are always up to something interesting! Lilybelle’s Winter Onederland First Birthday Party! Pink or Blue, We Welcome You! sara on The Whole 30 – Halfway Update! Maggie on My New Haircut! Follow Our Bunch on Facebook!